It's about that time of year. 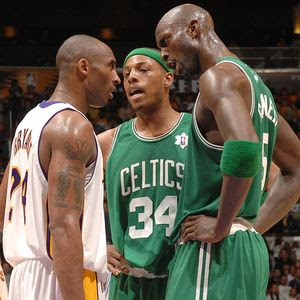 That time when the Celtics and Lakers are getting ready to square off in the regular season. It only happens twice a year so it's kind of doesn't fly under the radar being they've met in 2 of the last 3 Finals. They'll meet Sunday for round 1 in LA then on February 10th in Beantown for round 2. So with all of that Kevin Garnett had to go and get the shoes to fit the occasion and the Chinese shoe company, Anta, has outfitted him with the "Beat L.A." edition. Anta goes all out with the all-time regular season record of the two storied franchises on the tongue which is led by the C's 152-120. For good measure they Celtics also lead the all time series in the playoffs 43-31 winning 9 of the 12 match-ups in The Finals. 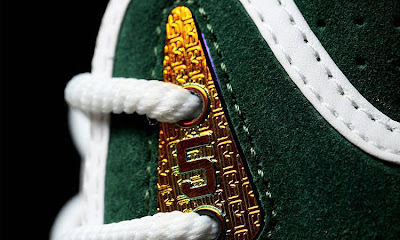 Seeing as KG has been with seemingly every shoe company in his career from Nike to And 1 to Adidas and maybe were missing one, this has to be the most creative pair . 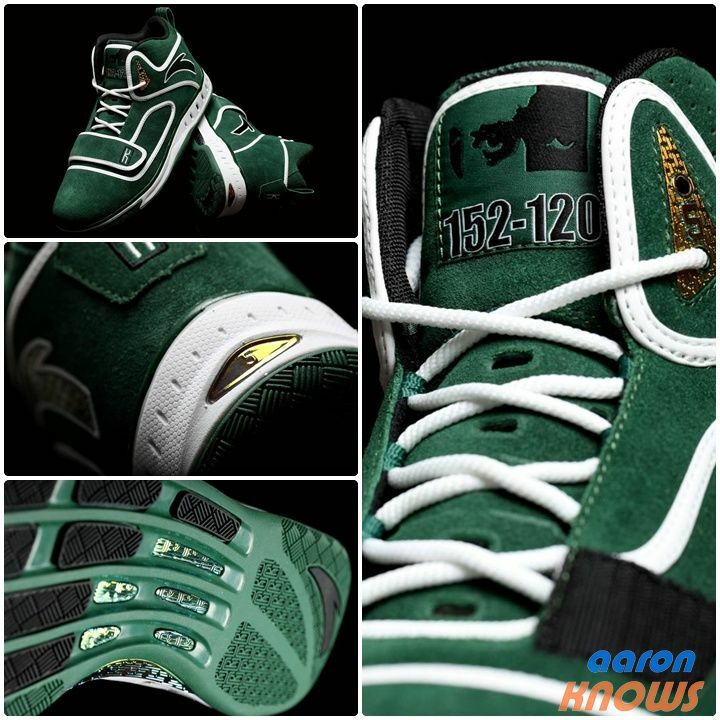 We know KG embraces the history of the game and these surely show that along with the emotion that KG brings!